Grew up with Olympiacos Piraeus (Greece) youth teams. Made his debut with Olympiacos Piraeus during the 1995-96 season. Sent on loan for the 2000-01 season to Peristeri Athens. Back to Olympiacos Piraeus for the 2001-02 season. Moved to Russia on February '03, signed by CSKA Moscow for the remainder of the season. Signed for the remainder of the season by Spartak St. Petersburg. Signed for the 2010-11 season by BC Khimki Moscow region. Signed for the 2011-12 season by Unics Kazan. 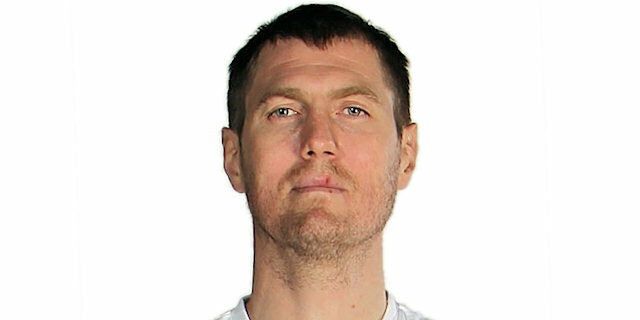 Signed for the 2012-13 season by Lokomotiv Kuban. Won the 1997 Euroleague with Olympiacos Piraeus. Won the 2013 Eurocup with Lokomotiv Kuban. Won the gold medal at the 2007 European Championship. Played at the 2001, 2003 and 2005 European Championship. Played at the 2002 World Championship. Won the 1995-96 and 1996-97 Greek National Championship with Olympiacos Piraeus. Won the 2002-03, 2003-04, 2004-05, 2005-06, 2006-07 and 2007-08 Russian National Championship with CSKA Moscow. Won the 2002 Greek National Cup with Olympiacos Piraeus. Won the 2005, 2006 and 2007 Russian National Cup with CSKA Moscow.